Susan Halford, Professor of Sociology, has been made a Fellow of the Royal Society of the Arts (RSA). 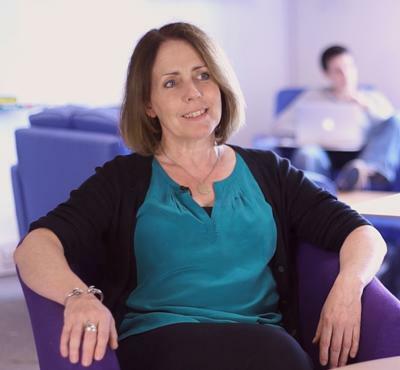 Professor Halford, has been honoured by the RSA in recognition of her innovative work as Director of the Web Science Institute, and longstanding contribution to social science research. Originally founded in 1754, the RSA is committed to supporting the creative capacities of individuals, communities and institutions in leading change towards an equal and flourishing society. Professor Halford has long standing research interests in the sociology of work and organization, particularly in digital innovation in the workplace and associated questions of gender and age inequalities. Working with colleagues in the Web Science Institute she has recently been investigating the politics of data and digital artefacts, information infrastructures and digital research methods. Her 2013 paper ‘Digital Futures: sociological challenges and opportunities in the emergent semantic web’ (with Catherine Pope and Mark Weal) won the 2014 SAGE prize for innovation and excellence in the journal Sociology. Susan is also a co-director of the EPSRC Web Science Centre for Doctoral Training. Susan has been a Fellow of the Academy of Social Science since 2007.